Sheridan’s Josh Bagley goes for a layup over Little Big Horn College’s Larry McCormick, left, and Virgil McCormick at the Bruce Hoffman Golden Dome Saturday, March 3, 2018. 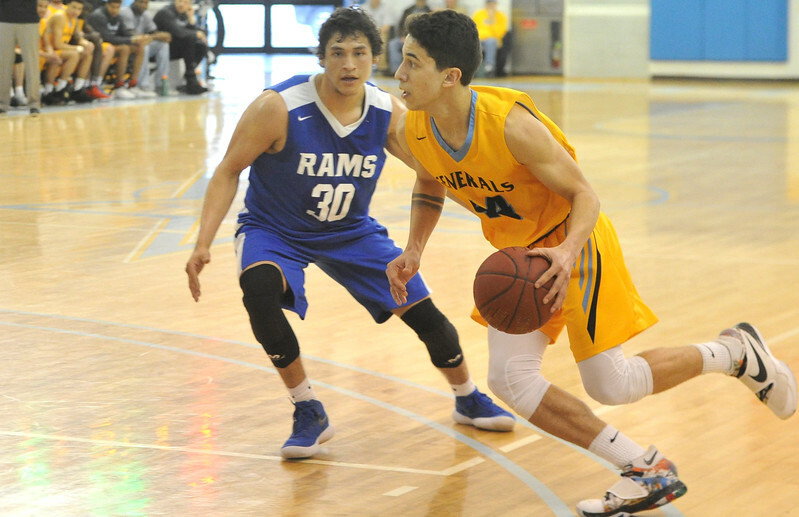 Sheridan’s Kon Anguik, left, passes the ball against Little Big Horn College’s Virgil McCormick at the Bruce Hoffman Golden Dome Saturday, March 3, 2018. 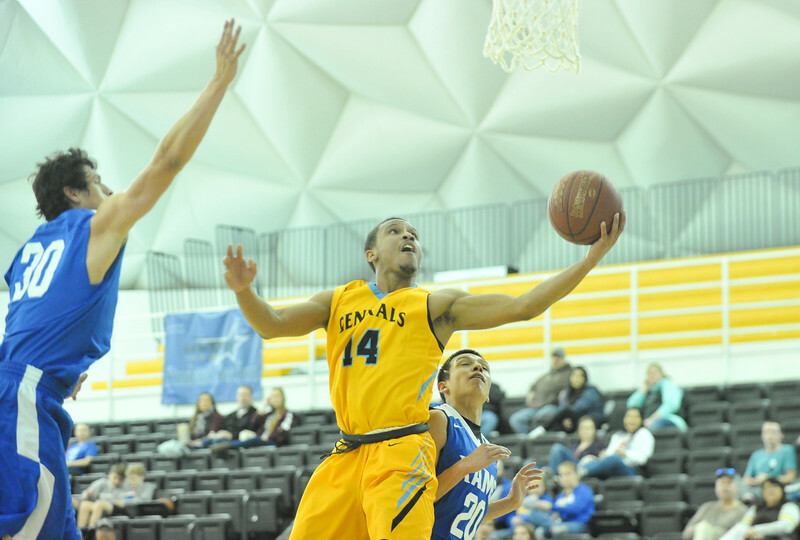 The Generals won 109-73, advance to the Region IX quarterfinals. Sheridan’s Keenan Dowell guards Little Big Horn College’s Yberson Augustin at the Bruce Hoffman Golden Dome Saturday, March 3, 2018. 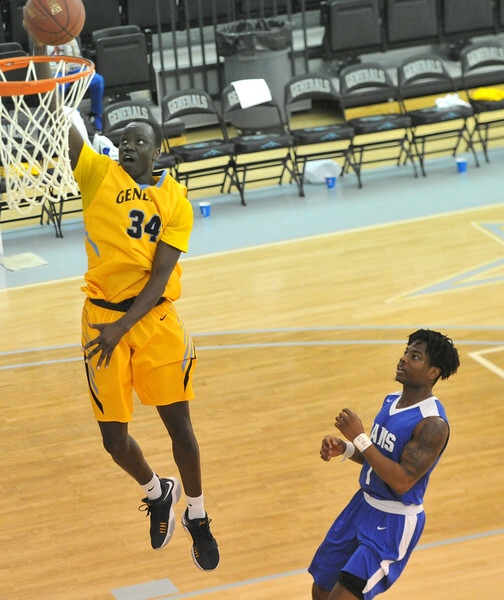 The Generals won 109-73, advance to the Region IX quarterfinals. Sheridan’s Trace Murphey, center, shoots for two against Little Big Horn College at the Bruce Hoffman Golden Dome Saturday, March 3, 2018. 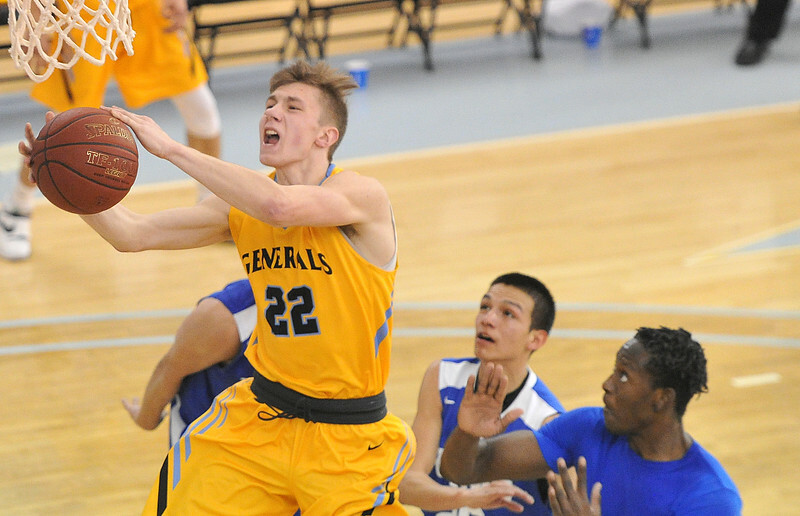 The Generals won 109-73, advance to the Region IX quarterfinals. Sheridan’s Deone Stovall moves the ball against Little Big Horn College at the Bruce Hoffman Golden Dome Saturday, March 3, 2018. 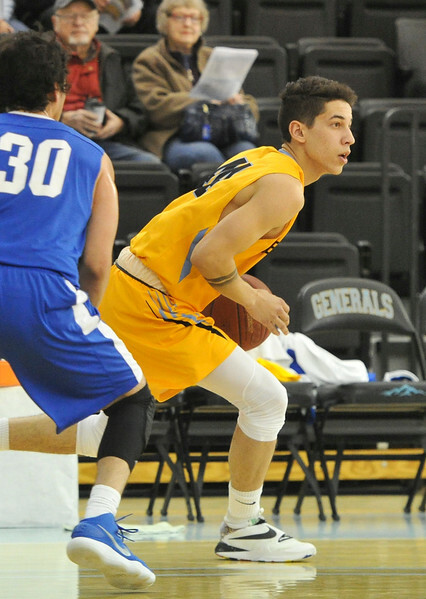 The Generals won 109-73, advance to the Region IX quarterfinals. 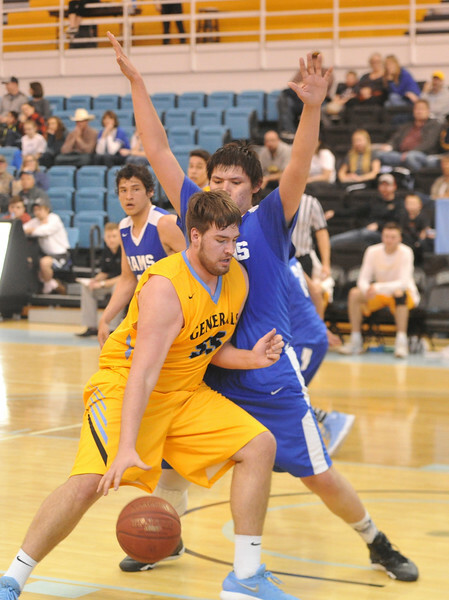 Sheridan’s Caleb Stewart, right, drives against Little Big Horn College’s Yberson Augustin at the Bruce Hoffman Golden Dome Saturday, March 3, 2018. 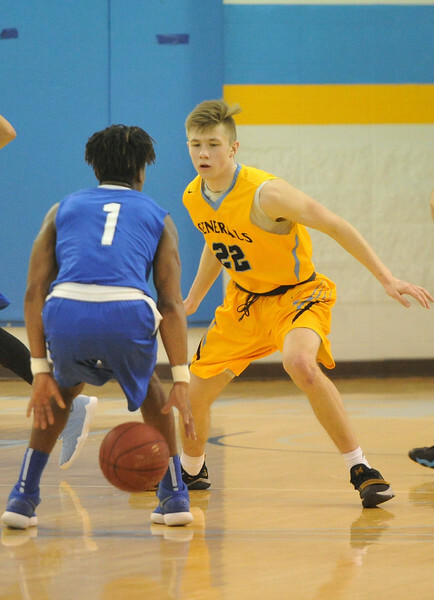 The Generals won 109-73, advance to the Region IX quarterfinals. 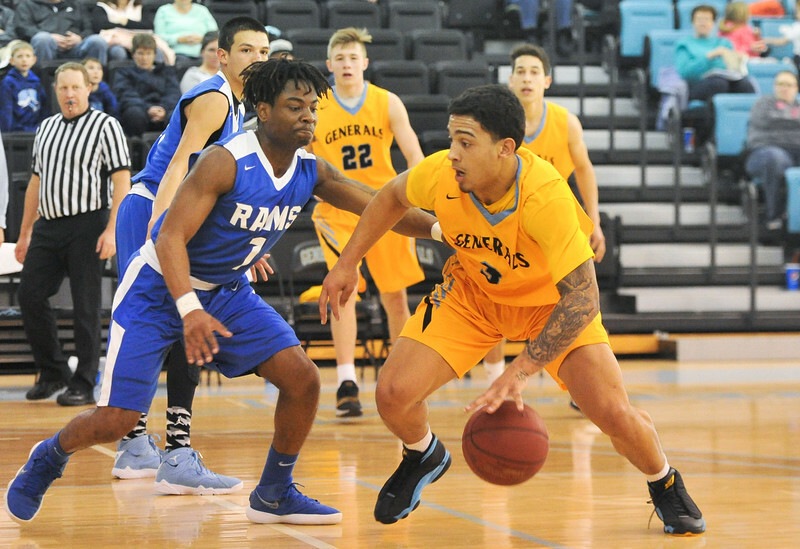 Sheridan’s Deone Stovall, right, drives against Little Big Horn College’s Larry McCormick at the Bruce Hoffman Golden Dome Saturday, March 3, 2018. The Generals won 109-73, advance to the Region IX quarterfinals. 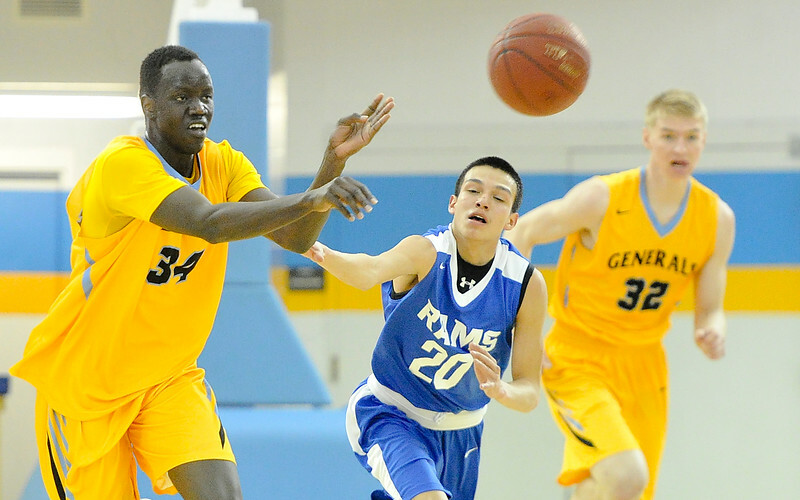 Sheridan’s Kon Anguik, left, gets a fast break against Little Big Horn College’s Yberson Augustin at the Bruce Hoffman Golden Dome Saturday, March 3, 2018. The Generals won 109-73, advance to the Region IX quarterfinals. 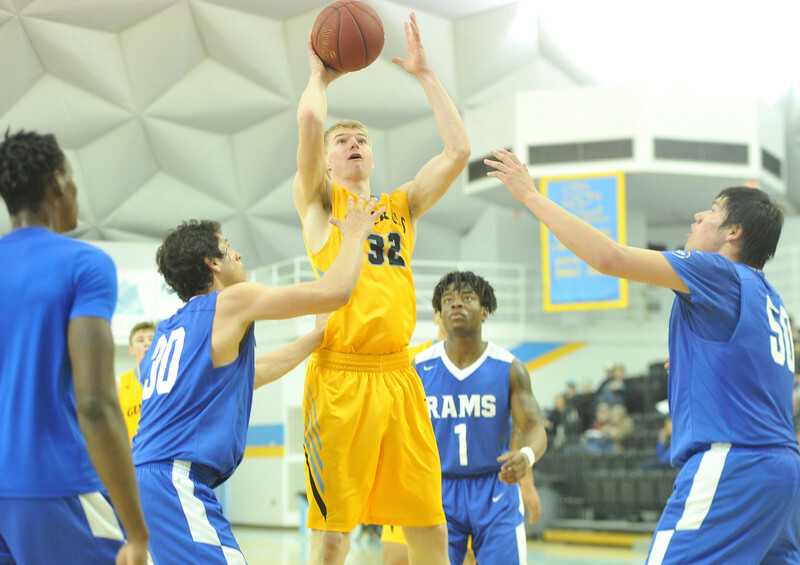 Sheridan’s Keenan Dowell shoots against Little Big Horn College at the Bruce Hoffman Golden Dome Saturday, March 3, 2018. The Generals won 109-73, advance to the Region IX quarterfinals. Sheridan’s Trace Murphey, front, dribbles against Little Big Horn College at the Bruce Hoffman Golden Dome Saturday, March 3, 2018. The Generals won 109-73, advance to the Region IX quarterfinals. 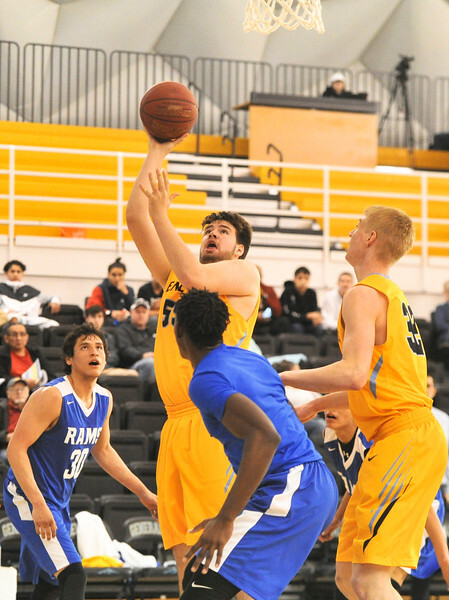 Sheridan’s Cody Baumstarck (32) shoots against Little Big Horn College at the Bruce Hoffman Golden Dome Saturday, March 3, 2018. The Generals won 109-73, advance to the Region IX quarterfinals. The Generals cheer from the bench against Little Big Horn College at the Bruce Hoffman Golden Dome Saturday, March 3, 2018. 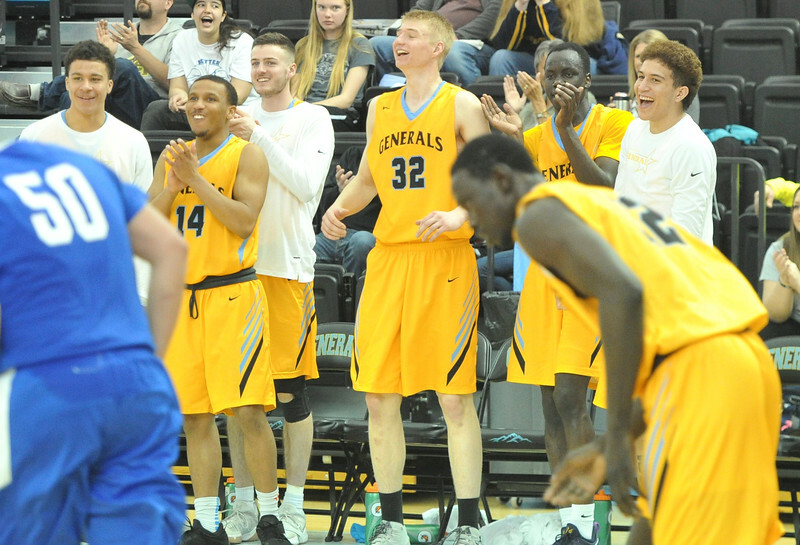 The Generals won 109-73, advance to the Region IX quarterfinals.